Fantasy transportation is so fascinating to think about because there are so many options when you're no longer limited by reality. And let's face it, while there have been huge advances in transportation over the years, there's still a lot of room for improvement. Plus fantasy modes of transportation are just so much more creative! This choice is very much influenced by the fact that I'm in the middle of reading H.L. 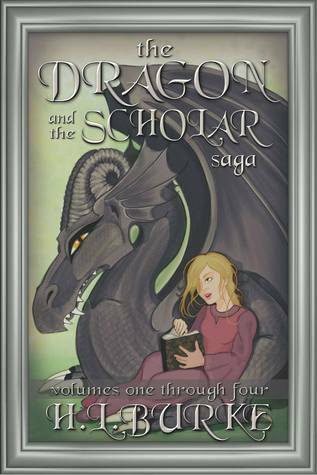 Burke's The Dragon and the Scholar Saga right now, in which a girl befriends a dragon and travels around with him. But doesn't it sound cool? Of course I'd only want to do it under those particular circumstances, where the dragon is my friend and I don't have to be terrified :) It would certainly have its inconveniences, but I imagine the views would be spectacular, and riding on a dragon's back like that would probably be the closest you could get to the sensation of actually being capable of flying yourself. Any fellow Doctor Who fans out there? My husband and I got hooked on the show recently - we started with Season 5 and are now partway into Season 6. And the TARDIS (Time and Relative Dimension in Space) would be such an incredible way to travel! 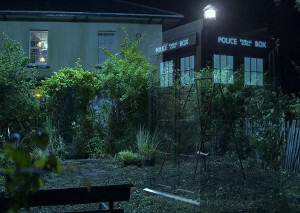 On the outside, a police box, on the inside, an expansive set of rooms and halls that can travel to any time and place. Not the most practical for every day use, I'll admit, but for far-reaching time-travel adventures it would definitely be the best way to go! What about you? 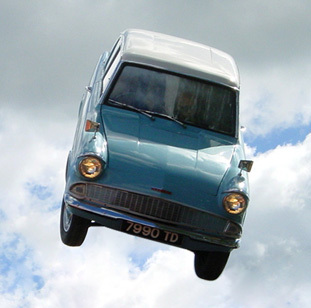 Do any of these sound appealing, or do you have other favorite modes of fantasy transportation? Tardis! That would be so cool!! However, you definitely have to be prepared for the unexpected like the occasional dalek or Cyberman run-in. Julie K.